I would like to thank all the readers and followers of my blog, those who have purchased prints and workshop participants for your continued support throughout 2012. I wish all of you a very happy and safe New Year and all the very best for 2013. 2013 is going to be another busy year with more new features in the pipeline for my website and blog, and even more new and exciting photographic travels. If you are travelling with me in 2013 on one or more of my workshops or expeditions I look forward to shooting together in some of the world’s most beautiful and remote locations. I have some really exciting announcements I hope to be able to make early in the new year, not the least of which includes a new partnership and surprise guest on the expedition I am leading with Daniel Bergmann to Antarctica in November. More to come on this very shortly suffice to say for now that there is going to be over a quarter of a million dollars worth of high-end digital camera gear on board for everyone to freely use and try out throughout the expedition. 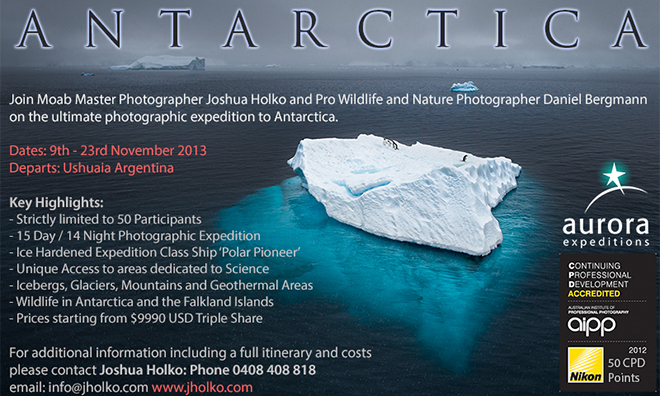 2013 also marks the first time a dedicated film production crew will be accompanying me to film an expedition. Abraham Joffe and his team from ‘Untitled Film Works’ will travel with me on the 2nd Jewels of the Arctic expedition I am co-leading with Peter Eastway and have been secured with the task of producing a short video of the trip. This is going to be a great experience and I am looking forward very much to sharing the video on our return. 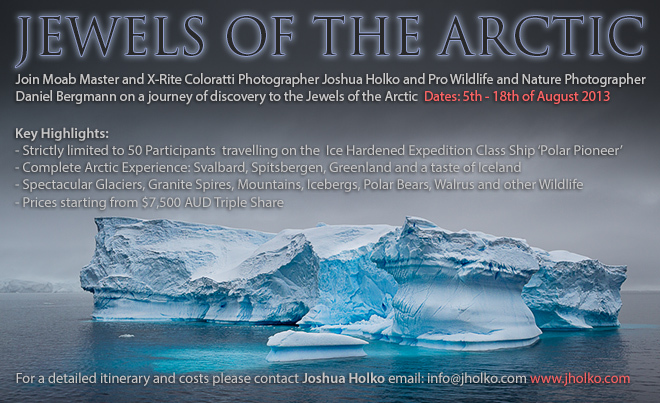 There are actually still a few places remaining on both of these Arctic expeditions for anyone who would like to join us. We are looking forward to Polar Bears, grazing Reindeer, Walrus, Icebergs, precipitous granite spires, mountains and more. I am working feverishly on finalising the 2014 Iceland workshops and hope to have these ready for bookings before leaving for Iceland with Andy Biggs for our Winter Workshops in March. Interest for the 2014 trips has already been very high so please drop me an email if you are interested and I will notify you with details before I officially open the bookings. 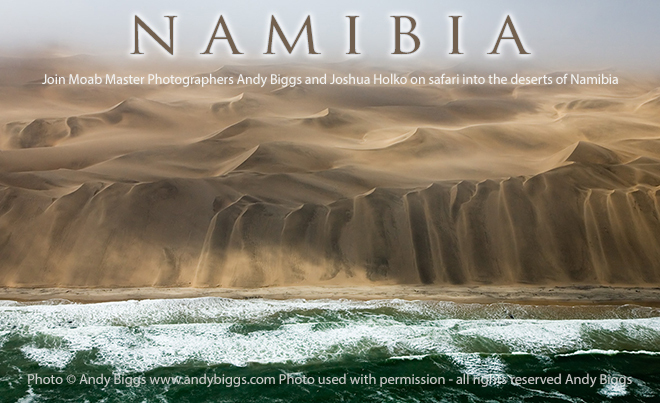 To those of you who have expressed an interest in the 2014 Namibia trip with Andy Biggs we are getting close to finalising details and likewise hope to have everything in place before we head for our winter workshops in Iceland next March. Whatever you’re doing today, enjoy yourselves and thank you for your support over the last year. Roll on 2013! Previous: Previous post: Wishing You a Happy and Merry Christmas!